Will the Barty party continue into the quarter-finals? 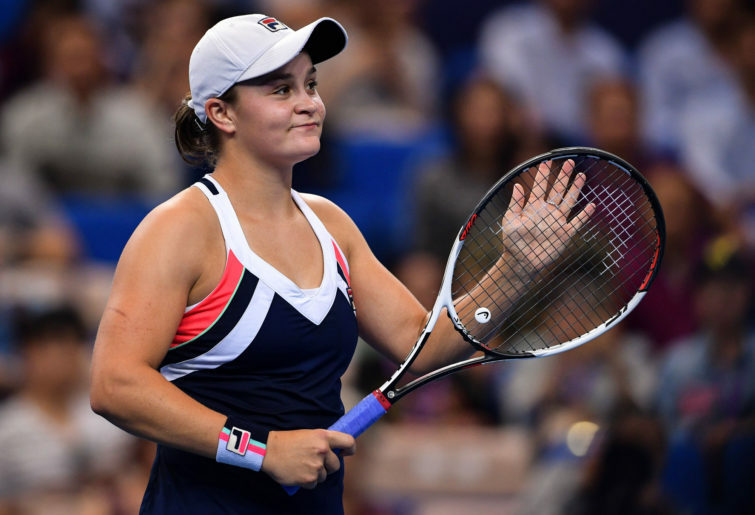 This afternoon, Ashleigh Barty will face the biggest test of her career thus far when she comes up against Maria Sharapova in the fourth round of the Australian Open, with a berth in the quarter-finals up for grabs. While Australia’s Davis Cup team continues to be mired in controversy, the 22-year-old Barty has continued to impress the fans at Melbourne Park, backing up her recent run to the final at last week’s Sydney International by reaching the fourth round of her national Grand Slam for the first time. And she has done it with minimal fuss – dismissing Luksika Khumkum, Wang Yafan and Maria Sakkari in straight sets to set up the showdown against 2008 champion Sharapova, who produced arguably her best performance since returning from a 15-month doping suspension to oust defending champion Caroline Wozniacki in three sets. With the match evenly poised in the deciding set, the 31-year-old broke midway through the final set to register a hard-fought victory over the 28-year-old Dane and advance to the last 16 for the first time since 2016. And while it’s still only early days, it’s proof that the Russian is far from a spent force in women’s tennis, as many feared she’d become. A run to the quarter-finals at the French Open, aided by the mid-tournament withdrawal of her career nemesis Serena Williams, was her best result at a major last year, while she also reached the fourth round of the US Open where she suffered her first defeat in a night match on Arthur Ashe Stadium. However, it was the second time in three years whereby she went through the whole season without winning a title. Still, Sharapova will pose a serious hurdle in Ashleigh Barty’s bid to become the first Australian woman since Jelena Dokic in 2009 to reach the quarter-finals of the Australian Open and reach a major quarter-final for the first time in her career. (Photo by Power Sport Images/Getty Images). Barty will have her work cut out for her, as Sharapova has an unblemished record against Australians at Grand Slam level. This includes defeating Samantha Stosur twice at Roland Garros, in 2014 and 2015. Additionally, the Russian defeated Barty in their only previous meeting, in Rome last year, while they were also supposed to have met at the 2014 Brisbane International, only for the Queenslander to withdraw due to injury. Whoever wins will face either Petra Kvitova, who defeated Barty to win her second Sydney title last week or exciting young American Amanda Anisimova, who turned heads with her stunning straight-sets thrashing of eleventh seed Aryna Sabalenka. At just 17 years of age, Anisimova is the first player born in the 21st century to reach the fourth round of a Grand Slam tournament, and there will be no reason for her to fear facing eighth seed Kvitova, given she did beat the left-handed Czech at Indian Wells last year. Those two matches are only part of what is expected to be a bumper Sunday at the Australian Open; in the men’s draw, rising Greek star Stefanos Tsitsipas will come up against his idol, Roger Federer, in a likely evening match on Rod Laver Arena, while Tomas Berdych and Rafael Nadal will also renew acquaintances in their first meeting for four years.